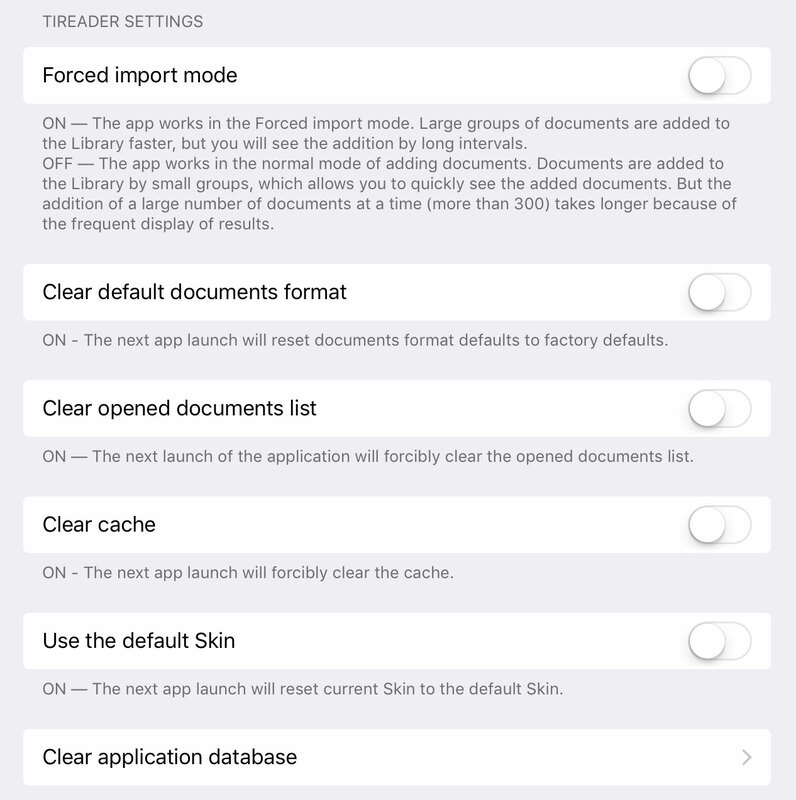 Go to iPad Settings> tiReader. Default setting for all switches is OFF. All switches are independent. All switches are reset to their default positions after App launch. 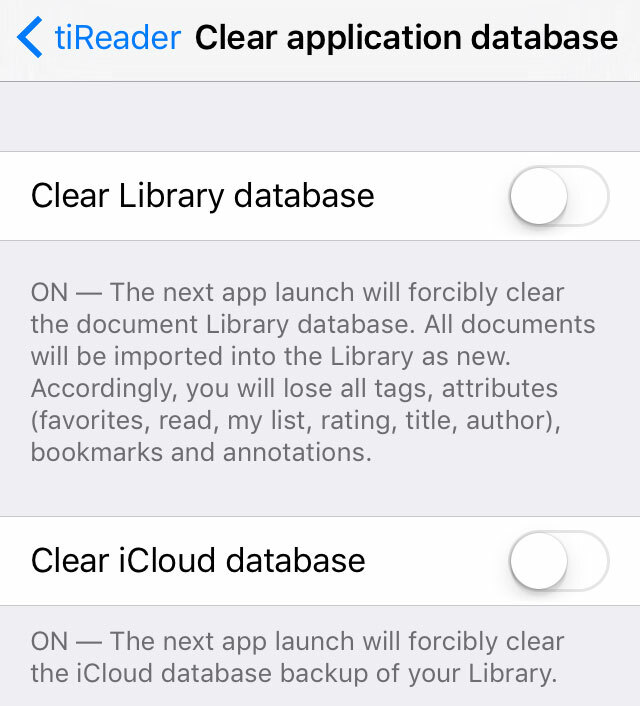 To restore the App to its initial (factory) setting, it is recommended to Clear application database. The result is equivalent to App soft reset. Documents uploaded to the library are NOT deleted.